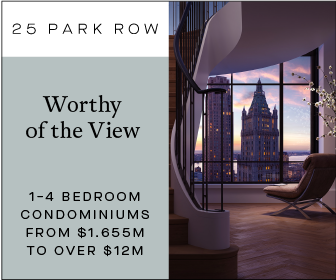 Standing 38 stories above Hudson Park is 515 West 36th Street. After excavation and foundation work began in 2016, the new mixed-use building now rises 418 feet. 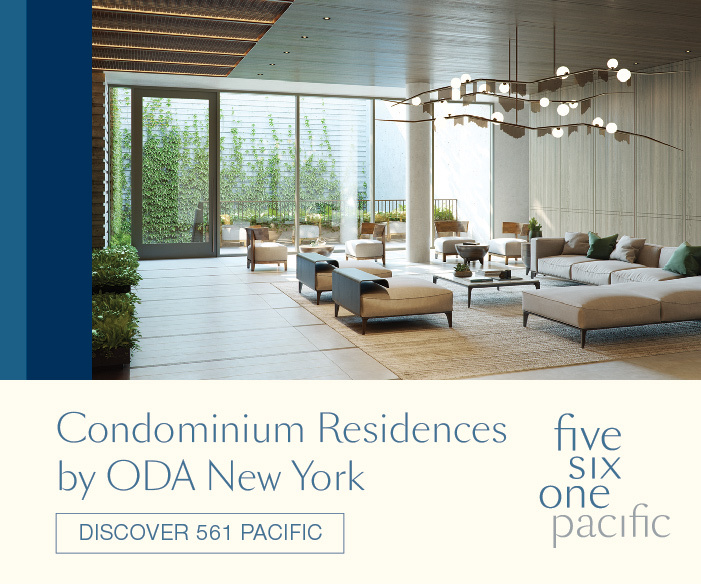 Located between the northern tip of Hudson Boulevard East and 10th Avenue, the site is a little over 328,000 square feet of newly built space. The reinforced concrete structure topped out in the summer of 2017 and is now fully enclosed in a reflective glass curtain wall. 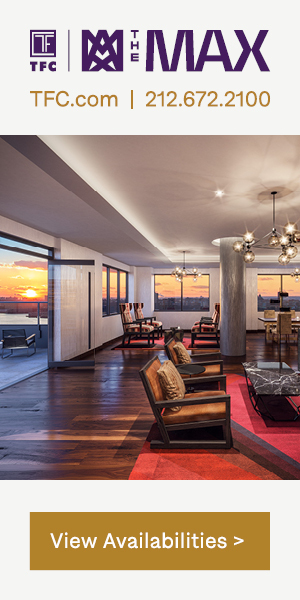 Ismael Leyva Architects is the designer, with Lalezarian Properties as the developer. Looking out from the third phase of the High Line, the building stands among the Hudson Yards district. It is clearly visible for now or until the second phase of Hudson Yards goes up in the next several years. The top of the structure contains two wooden water towers and other mechanical bulkheads, all hidden behind a perimeter of densely spaced, gray-colored metal louvers. Retail space will cover nearly 13,5000 square feet spread among the first three floors. There will also be a dormitory on the fourth floor, measuring close to 36,000 square feet. The 250 residential units begin on the eighth floor all the way up to the 38th floor, averaging just under 800 square feet each. There are a mix of studios, one-, and two-bedroom units. A housing lottery launched almost exactly one year ago for 63 units, roughly twenty percent of the total inventory. A number of projects including 3 Hudson Boulevard, The Spiral at 66 Hudson Boulevard, 50 Hudson Yards, 448 11th Avenue, the expansion of the Jacob K. Javits Center, and of course, the second and final phase of Hudson Yards will completely transform this area of Midtown in the next few years. When it does, the new developments will not only extend the skyline to the north and towards the Hudson River, but it will also create a more vibrant area for the increasing number of tourists and future residents. 12 Comments on "Work Wraps Up on 515 West 36th Street in Hudson Yards"
Same as other residential high rises there. 610 Tenth Ave is not better, what’s about Silver Towers, except they are 57-60 storied and exactly 200 meters high, 653 feet. Reflective glass is a new construction material, what makes buildings looks lighter and much brighter, and sun reflective, is much better than new panel flats in Orlando, on I-drive, they are building there new huge hotel development of multiple 6-9-12 stories, and made them with prefab panels, then painted them in various colors. Is this better than strong concrete framed fully glass enclosed buildings???? Yeah, very nice type of Construction there in Orlando, either wood framed with fake brick cladding, or concrete panels, like in communist countries residential flats. 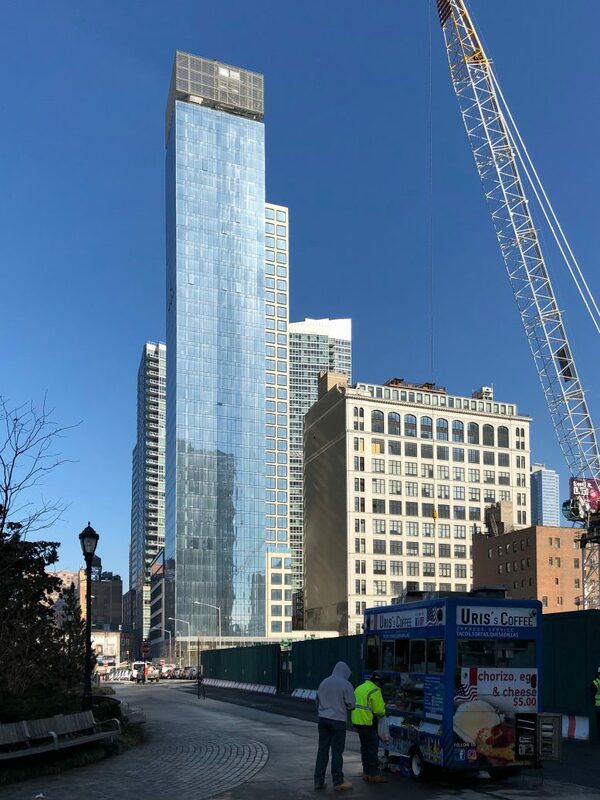 NYC new construction is concrete framed, or even steel framed for office construction, and reflective glass make buildings looks taller and much brighter, more visually appearing than from cheap concrete panels or from woods elsewhere. Yeah, very nice type of Construction there in Orlando, either wood framed with fake brick cladding, or concrete panels, like in communist countries residential flats. NYC new construction is concrete framed, or even steel framed for office construction, and reflective glass make buildings looks taller and much brighter, more visually appearing than from cheap concrete panels or from woods elsewhere. Btw, why you don’t complain about ancient wooden water tank installed on the roof. It’s the same water tanks we used for 130 years. After famed Grand Chicago Fire. These Water tanks, some of them made from steel, became a landmark for NYC. As well as these dull looking for us “glassy towers”!!!! It’s a second property by same landlord, first one is pretty simular 38 story tower next to High Line, between 28th and 29th street. South of HY. Simular? This word, now considered archaic, used as an adjective means false; specious; counterfeit. It is little used today in modern English. Similar would seem to be the word required in the context of the comment. Avoidance of what seems to be an error of this kind and also similarly the omission of the definite article and prepositions where required would go a long way toward making comments more readily understood by other readers. Ok, If you read my comment before it is means the “same looking or closely matched”, because it’s not absolutely the same looking building. 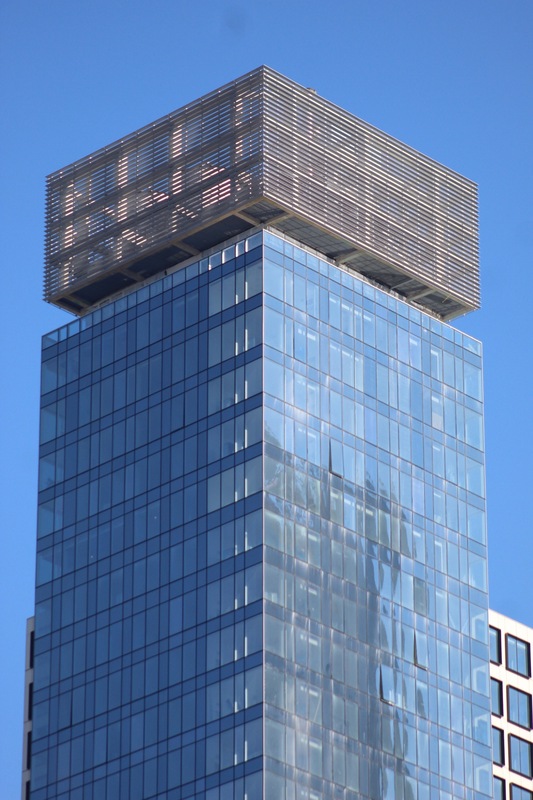 The only closely match the overall building height and construction materials used for cladding, reflective glass, and tower standing on the one to three story podium. 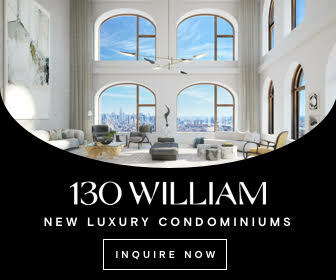 If you go just across Zaga Hadid 11 story ultra modern building, 522 Tenth Ave, if I’m correct gave you street number of it, this mentioned building for Lazarous development will be address will be as 528 Tenth Ave, just on other side of High Line Park elevated greenway promenade. The 38 story development overthere, just across 11 story Zaha Hadid Building and is being tallest on High Line, about 420 feet, however this area considered as West Chelsea neighborhood. While building on 36 street is emerging Hudson Yards neighborhood. Not to be mixed with Second Phase of Hudson Yards office and residential complex, what’s not built yet. And it’s years from being completed, since first need to built a huge platform over 30 tracks of West Yard of LIRR, this part wouldn’t be done earlier than by 2021, and only after that residential and mixed use buildings start rising up. Six residential buildings, one hotel buildjng, a school, one mixed use office residential. Total 9 separate buildings. Construction should be done by 2024. 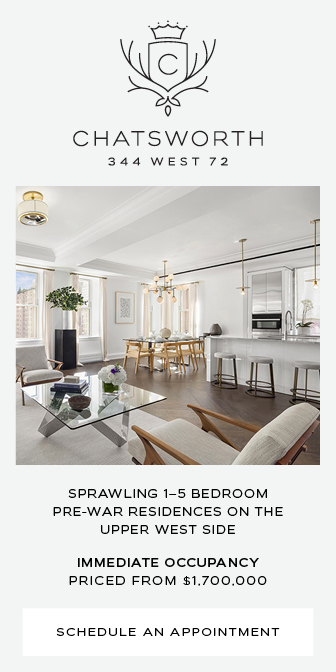 Looks like they might use same methods like what was used when constructed “Waterline Square” a huge 3 building complex in Lincoln Square neighborhood on Upper West Side. This method is rare in NYC, since a scarce of empty space. Except HY, the very last huge “open space” in Manhattan island. Hudson Blvd area, where new Lazarius Building stands now, is not so big for new residential, Two Office buildings under construction area, 3 HB and 66 HB, plus more 2 high rise hotels in construction pipeline, and two towered 35-50 stories residential mixed use complex in the place of Mercedes dealership. All this projects are approved already, and unlikely that other new things coming up soon. And according to plan of this development, Hudson Blvd Park will be occupying most of the area. So new construction will be limited for upcoming years by his perimeter. Like along Tenth Avenue, and across Javitz Convention Center on Eleventh Ave.
Are you a grammar teacher, come on, this article about new development, new construction, and any person is familiar with that simple understanding that similarity word here means not a counterfeit, but same looking, closely matched in looking, or looks like buiding, especially from same developer!!! What simple put your commentary same as AOC New Green shame. Plus it’s pretty offensive to come here and looking for perfect English in the Country of Immigrants, are you racist???? Btw the construction fence across is the site of future Spiral, 66 HYBlvd, looks that construction there are progressing quickly, now they install a tower crane, so tower start rising up to their 1,005 feet height and 64 spriraled up floors. It’s called ironically as “Hudson Spire” also, since it was a site of almost a “megatall” spiked tower of about 1880 feet. They canceled it, probably due to FAA regulation, I don’t know, and new lower height BIG designed “Spiral”, still being ironically called as “Hudson Spire” by some. Confusing this word with older name of different building. Hudson “spire” was planned as slim and tall building, while Hudson Spiral used same square footage with lesser amount of floor and height, making building much fatter in appearance, so it’s used ideas of different floor plates, like it was used in 750 Seventh Avenue, the difference is that building floors are enclosed with glass, here they are create open air green terraces per each of 64 floors. Spiraled them up to total rooftop!!! I don’t know if HY Spire is appropriate word for that building, and this building will not getting any spire(s) on his rooftop. Lalezarian Properties second 38 story building tower in HY district. Looks like they copied same design twice for both buildjngs, 28th and 36th streets. Anyway it’s better than what was before, a single story mechanical shop or warehouse!!! The whole this area was covered with these craps, now it’s changed for one of most dynamic neighborhood, one of best designed park, Hudson Blvd, and beautifully designed brand new Subway Station with innovative incline elevators. The Whole Area pretty close to both Port Authority Bus Terminal and Penn Station, 15-20 min walking distance. One subway station away to PATH, Times Square, few bus stops on speedy M-34 Select service bus to Penn Station. Just a seven years ago whole area wasn’t yet existed, it was just foundation work started on 10 Hudson Yards 52 story office tower for Coach HQ, and it was still MTA working, Number 7th train Subway Line extension to HY. And now doomed busy McDonalds on the corner of 34th Steer, a popular lunch spot for taxi drivers. Oops forget it was Copacabana restaurant on Eleventh, now demolished for new 6 story high MTA 7 train extension Air Pump and Maintenance Station. It was just 7 years ago, in February 2012, Great Recession was just start recessed down, and economy just start rewind up. Along with new construction here, and here, and finally everywhere!!!! Little Dubai on Hudson or Singapore, I don’t know, it’s better what it was before, what we had lost, 50 year old McD and rundown Spanish restaurant with drugs and prostitutes and half empty warehouses and almost bankrupt mechanical shops. Those who doesn’t understand that we have seven years ago here, just one finished highrise there, a new 34 story residential building on 31st Street, and just finished portion of High Line Park elevated greenway, and if I’m correct a little enclave of 34 and 43 storied buildings on 36-37th streets. And 23 story brick cladding building across them. All of them built during Great Recession. Closest finished new Office Buildungs from here were 40 story Eleventh Times Square, 601′, and famous for scale up NYT Building. What was supertall only by 322′ spire tip on his 728′ rooftop. Eleventh Times Square was finished in 2010, and NYT in 2007. And Related Companies big Signature Theater Residential Hotel complex, 25 story in one tower and 55 stories on big 7 story high podium for Signature Theater. It was started before GR, then stopped for 2 years, because of NIMBY, and it was restarted only in 2009 and finished by 2011. I remember it, I was one of largest development in whole NYC by this time, except WTC redevelopment site and 22 story Gotham Office Tower in LIC. I wrote this for those who either were too young to remember this gloomy for NY and whole country period, or wasn’t in NY in 2008-2011… The only big construction binge was in Washington DC, where tons of residential and office construction were still built. But not in NY. Eleventh Times Square was built for Proskayer Rose LP HQ, in 2008-2010, BoT Tower was built from 2006 to 2009, Silver Towers were finished in 2007-08, Atelier in 2006, 525 West 53rd Street Eighth Avenue was built to 2 story slab and restarted after two years in 2012. In Brooklyn they just finished Barclays Center Arena and Atlantic Terminal Mall with LIRR new train station, this was in 2011-2012, just Seven Years Ago!!!! And I’m counted almost all major construction sites in whole NYC during GR period of 2008-2011. 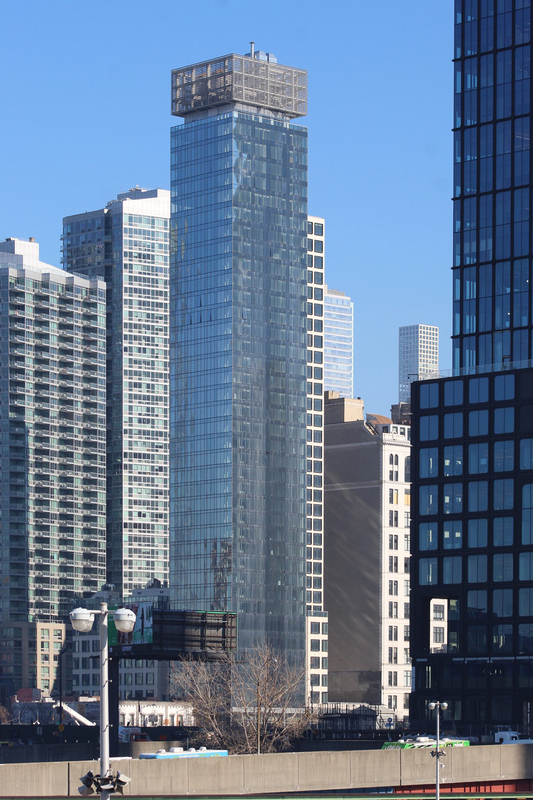 Btw, Gotham Center in LIC was reduced to single 22 story building, for NYC Dept of Health HQ, and IGT was forced to slash it’s 6 floors for just proceed as 34 story IGT and Office tower on 46-47th street in NY “Diamond District”. 3 WTC was reduced to be constructed as 4-7 story slab, before major anchor tenant coming. It was looming delays due for raised up construction cost everywhere in the City, for new MTA Fulton Center, for New WTC Hub by Calatrava, while his “Residents in the Sky” 80 South Street was canceled. Last Recession hit NY very hard. Especially for new construction. Unemployment benefits were paid up to 99 weeks, unemployment in the City exceed 10%. Stocks traded historically low, a Dollar was on the verge of Collapse, and construction projects across the cities were stalled for whole period of Great Recession. The only company for new construction developments more or less active was Related Companies. The only company in NYC who show the rest of the World that NY and Whole America is still in business and open for new investment opportunities. Her 10 Hudson Yards building was a message to the World that Recession worries is over!! !